mind...trigger an involuntary nervous response in the viewer, and thus...make a very specific connection. physical experience, based of the way that colors react to each other at the seat of human intelligence. Joachim's precision begins with passion, however, and the responses he so specifically desires to evoke are emotional...an integration of mind and body to reach the spirit." 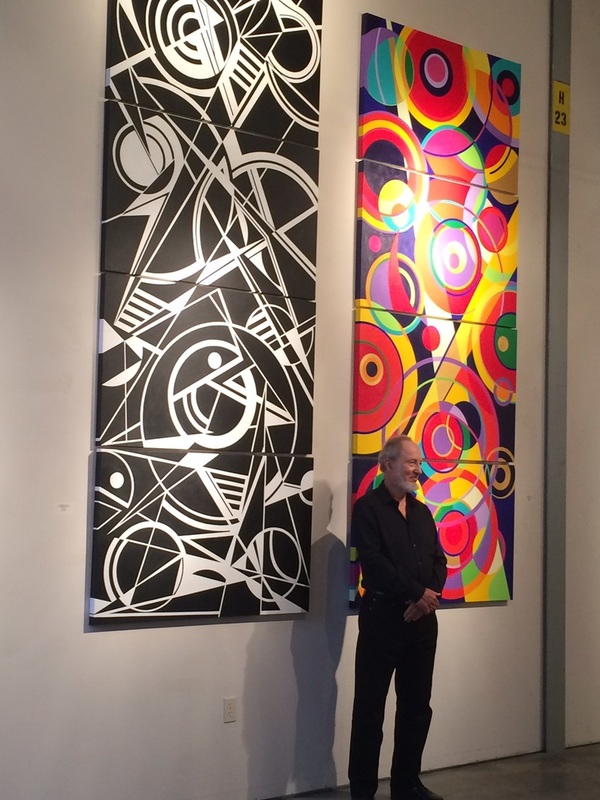 Exhibited: First two stages of The Creation Series as side-by-side vertical columns. R.Blitzer Gallery, Santa Cruz, CA. Additionally, I have exhibited my work in approximately one hundred juried and nonjuried group exhibitions.